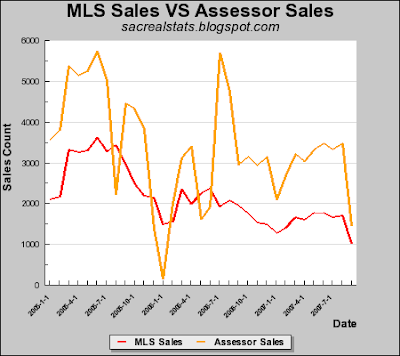 If it were consistant, I would say MLS + new home sales was your total, but the negitive numbers throw me. Actually, its likely the MLS numbers that are mis dated - just entered on the wrong dates. If you called the assessor, I'm sure they would talk about it. They often will talk about much less important info - what I mean is that your question is interesting enough to get to the main man.